Plough Publishing House, 9780874866131, 415pp. A dramatic true story of a man refined by fire, a Bruderhof pastor whose spiritual legacy continues to touch thousands. Can our wounds become our greatest gift? Bruderhof pastor J. Heinrich Arnold was a broken man. Yet those who knew him said they never met another like him. Some spoke of his humility and compassion; others of his frankness and earthy humor. In his presence, complete strangers poured out their darkest secrets and left transformed. Others met him with hatred. Writer Henri Nouwen called him a "prophetic voice" and wrote of how his words "touched me as a double-edged sword, calling me to choose between truth and lies, selflessness and selfishness. . . . Here was no pious, sentimental guide; every word came from experience." Who was this extraordinary yet simple man? 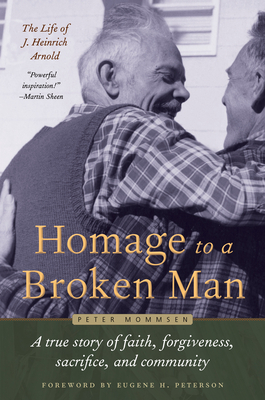 In this gripping and richly spiritual book, Peter Mommsen tells the dramatic true story of the grandfather he hardly knew. Read it, and you will never look at your own life the same way again. Silver Medal Winner, 2016 Benjamin Franklin Award in Religion, Independent Book Publishers Association.